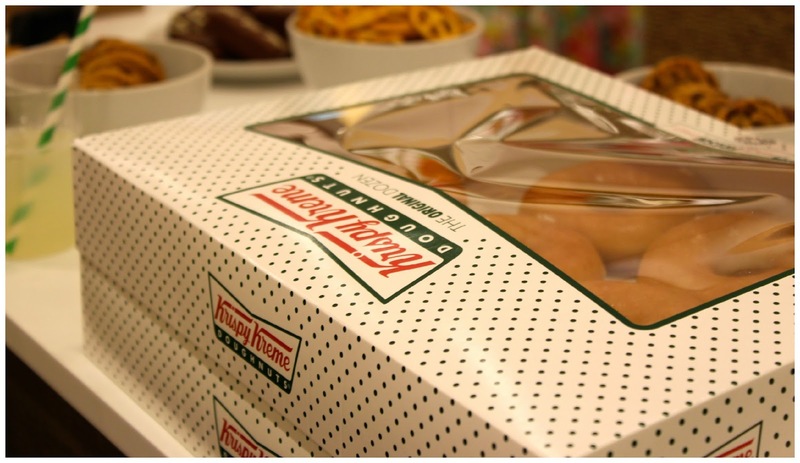 Have you popped into the Bodyshop recently? I was invited last week to go and check out some of the new products they have on offer along with some lovely blogger treats! After grabbing some snacks and a beaut Virgin Mojito cocktail (and drinking it very quickly!) 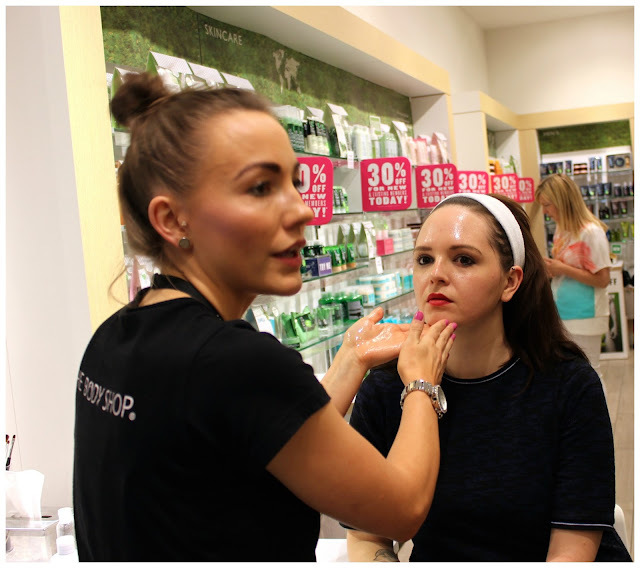 the lovely Bodyshop ladies started the chats about the products they'd chosen to feature that evening. Firstly they talked us through the new Virgin Mojito range- this smells just like my go-to cocktail... really zesty and fresh. 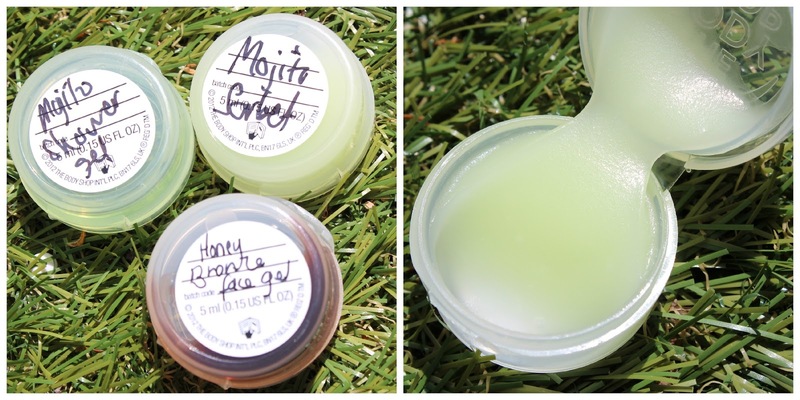 My fave products out of the line are the body sorbet and the body splash- I like the sorbet as it acts as moisturiser and still leaves you smelling fresh and limey its melted into your skin. The Body Splash is a body fragrance with a bit of a difference- rather than a spray it has a little hole in the top so you can just splash it over your skin once you've moisturised. 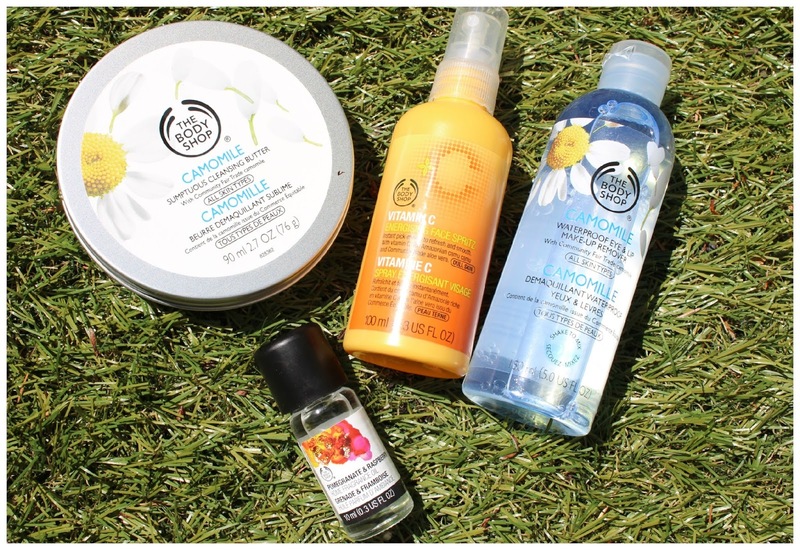 The Bodyshop ladies recommended to layer the products up right from the shower gel to the body splash to keep smelling deliciously Mojito like all day! Vitamin C Facial Cleansing Polish- Loved the sweet orangey smell of this cleanser and the facial brush she used with this was A-M-A-Z-I-N-G however.. I can't find it on the website.. when I do.. i'l be buying it for sure! Drops Of Youth Wonderblur- I'm always on the look out for a good primer but a lot of the primers I've used in the past have been way to chemically smelling for my liking but this one isn't at all. It left my skin feeling soft and it really helped reduce the appearance of pores around my nose. 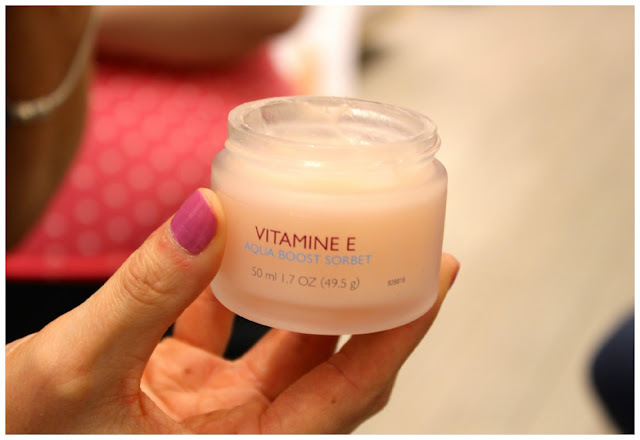 Vitamin E Aqua Boost Sorbet- I didn't have this product on my face but tried it on the back of my hand. 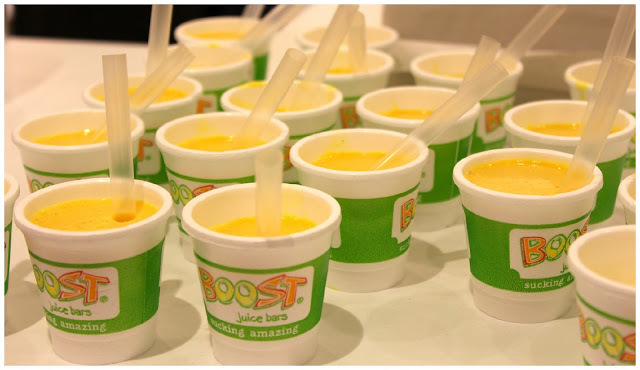 Loved this sorbet a lot- I can imagine taking this on holiday and popping it in the fridge ready to use when I need a nice cool down. Once we'd finished the skincare demo's we were then shown some of the makeup collection, now I was naughty and only got one photo of the bits they used on me but I just wanted to mention the Honey Bronze Highlighting Dome- this could be the answer to all my contouring issues! I struggle getting contouring right so anything to make it a bit easier is great in my eyes- I love the design of this product- Its a little dome of product (similar to the EOS balms) and all you do is apply it straight to your cheeks and then blend- it comes in 3 shades- Golden, Pink and Bronze! 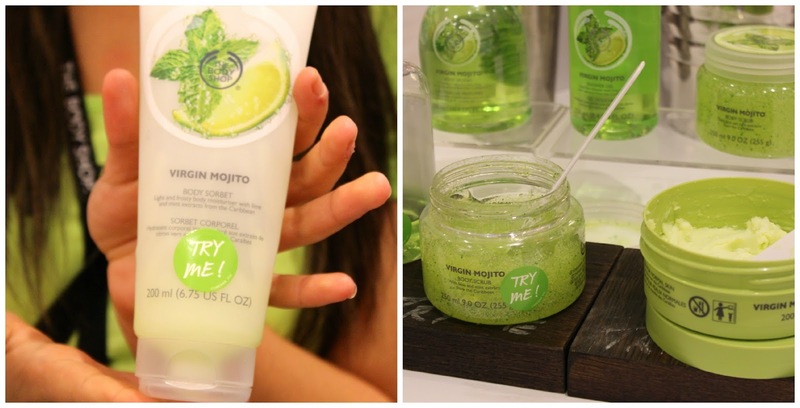 Mojito Sorbet- can't wait to try this! Vitamin C Energising Face Spritz (£10.00)- I got this as a freebie as I signed up for the Love Your Body reward card- this has quickly become my go-to facial spritz.. its refreshing and smells so delicious! I seem to have a growing collection of spritz's and this one is my fave at the moment! Pomegranate and Raspberry fragrance oil (£4.00)- I'm pretty obsessed with fragrance oils and the Bodyshop ones always seem to hit the mark for me.. lovely and fruity. Camomile Sumptious cleansing butter (£12.00)- I actually bought this 2 weeks ago but I knew I was going to the event at the time so thought I'd save this to blog about all in one go. I, for the past 2 years, have been using the Liz Earle Cleanse and Polish but more recently I've noticed that it was making my hands really dry after using it so it began to get me a little worried about what it was doing to my face- although I still Liz Earle and will go back to it at some point in the future I felt that my skin needed a new cleanser, I read on lots of skincare blogs that its always good to change your cleanser every once in a while so opted for this cleansing balm. As I've been using it for more than 2 weeks I can safely say that this has done my skin wonders! A lot of people have recently commented on how clear and healthy my skin looks so it must be working its magic! I like the fact that its in a tin and I can see how much I'm using unlike the pump bottles of cleanser. Camomile Waterproof Eye & Lip Make-up Remover (£8.00) love love love this product so much! I have recently run out of my Lancome Bi-Facil remover and has a bit hesitant to spend £21.50 on another bottle so thought I'd give the Bodyshop one a go. This, without doubt, is just as good as the Lancome one- it removes all my mascara and eyeliner in 2 sweeps of a cotton wool pad and doesn't sting my eyes at all. Its suitable for contact lenses wearers too which is always handy! 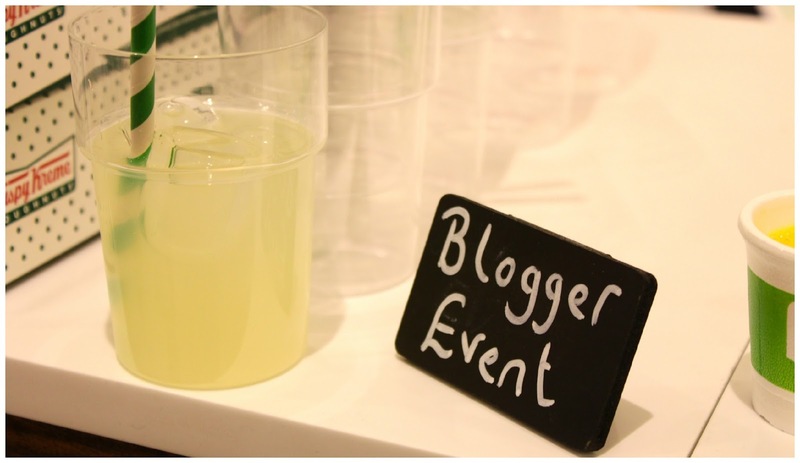 I really enjoyed this event- I was slightly apprehensive as the event was held on the same night as the Meadowhall Ladies Night so I assumed the store would be overrun by people and we wouldn't get the full experience but I was so wrong- the ladies who talked us through the items really knew their stuff and were truthful about what they'd recommend for my skin type and needs! 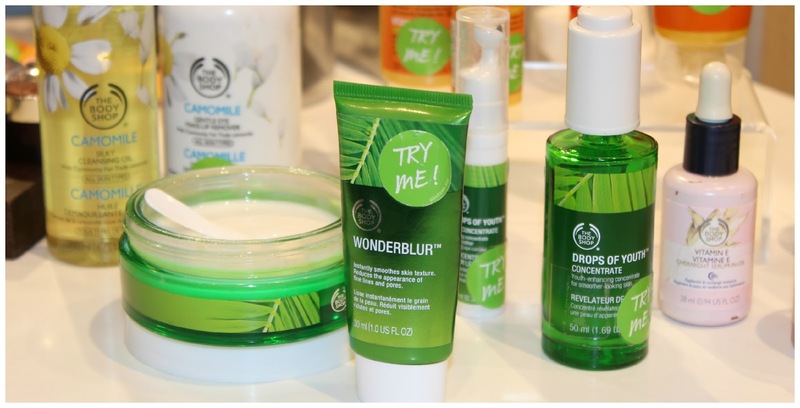 I'd love to go to another Bodyshop event in the future and learn more about their less known ranges... as I'm getting closer to the big 30 I am finding that the really sweetly scented products I'd have liked a few years ago are too much for me so I'm all for the more naturally scented items. Can you recommend any items from the Bodyshop?